Zerista Leads allows exhibitors and sponsors to collect contact information from attendees, while onsite at an event. 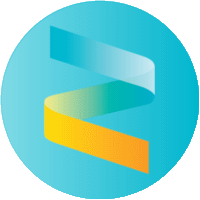 They will need to install the Zerista Leads app (links: Android/iPhone) and scan attendee badges or search for their registered email address within the app to acquire contact information. They can then follow up with the attendee after the show or put that contact info into their CRM. Note: access to the Leads feature incurs an additional cost to the client. If this was not discussed with your salesperson, please reach out to your Project Manager for further inquiry. This article will provide an overview on managing Leads as a moderator or administrator. To access Leads, log in to the event website and access the admin (https://<InsertShortname>.zerista.com/admin), then open Leads from the left sidebar. Settings - Zerista will handle the configuration of Leads settings. Please contact your Project Manager for questions about activation and settings. Exhibitors - Here you can give or remove access to leads, add contacts, manually add leads, update activation fees, and view activation receipts, for exhibitors. Stats & Reports - Access usage statistics, such as how many leads were acquired and how they were acquired (scan or manual add within the app). You can also export an activations list, showing which exhibitors chose to purchase access to Leads and payment collected, and also leads. Please continue reading for a more in-depth look at the Exhibitors and Stats & Reports submenus. In order for a exhibitor to use the Leads app, they must be assigned as a contact for an exhibiting company. Click here for instruction on adding company contacts, and also information on contact roles and how they function. Basic - The default unactivated level. Companies at this level will not have access to the Zerista Leads app. Standard - The trial level... Allows exhibitors to access the leads app and scan attendee badges. They will only receive the contact information for the first 10 attendees they scan, they can continue to scan more badges and the system will store the info, granting them access to the rest of their collected leads once they upgrade to Premium. Premium - Grants unlimited access to Zerista Leads and all of its features. Companies at this level can collect as many leads as they want, for the event that it was purchased for. Tick the box next to the name of an individual company, or select all companies by ticking the box at the top of the column. Click the Make Basic, Make Standard, or Make Premium buttons to change the access level for the selected company, or companies. The Activation Fee is an option that should be discussed with the Project Manager before changing. The option allows you to differentiate prices depending on the exhibitor/sponsor. An example would be if you want leads to be free to Diamond and Gold sponsors, but Silver and Bronze sponsors should pay a fee. In the event you want to process the activation fees yourself you can populate a link on the Leads>Settings page. If you decide to use this external link you will have to manually update companies and their activation status once payment is received. When an exhibitor or sponsor company pays the activation fee, they are emailed a copy of the receipt. If this gets lost or they need another copy, the "View Receipt" option will show their payment information, and can be forwarded to them. Click on the "View Receipt"
Click "Email Receipt to Exhibitor"
While onsite their may be an exhibitor that is missing some leads for various reasons (logged into wrong conference, phone was offline, phone camera wasn't working, etc.). In cases like this, you can manually add leads for them. This is at the discretion of whoever is adding leads. To be respectful of attendees' privacy, it is recommended to verify with them, individually, that it is okay for them to be acquired as a lead in this way. Use the "Add a user by name" field and click "Add"
Add - This is a lead generated automatically when an attendee Adds a company to their list of Favorites. Add (Qrcode) - A lead generated automatically when an attendee scans a company's QR code. This is especially useful when Leads are used in conjunction with our Gamification feature (Click here for further information on gaming). Add Lead - This is a lead generated when a company contact manually adds an attendee by their registered email, within the Zerista Leads app. Add Lead (Qrcode) - Lead generated when a company contact scans the attendee's badge. This will almost always be the highest stat. Export Activations - This report shows what exhibitor/sponsors have activated leads, how much they payed, specifically who activated leads, and when they activated. Export Leads - This will give you a list of ALL leads that were generated for the event. Goes into great detail as to who scanned, what time, all the attendees contact information, and much more (contacts can also export their own leads, click here for further instruction). Promotional Materials and a Leads help guide are attached to this article for sharing at an event.